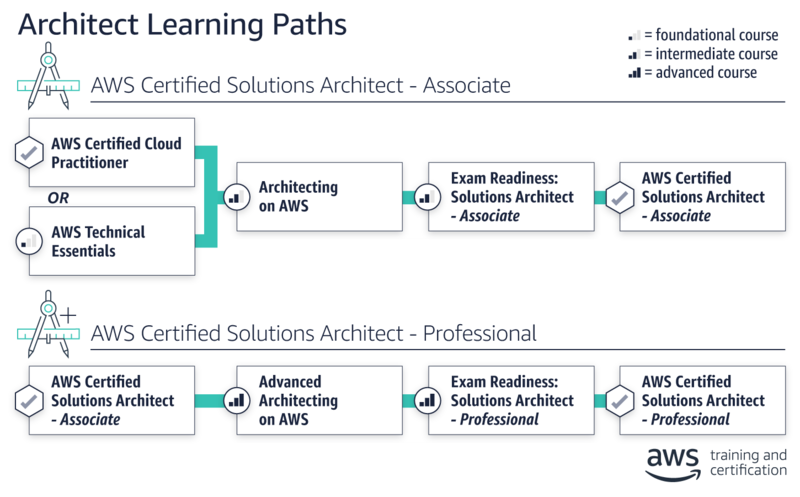 In the new Amazon AWS Certified Solutions architect boot camp - students learn the fundamentals of building IT infrastructure on the Amazon Web Services platform. Students learn how to optimize the AWS Cloud by understanding how AWS services fit into cloud-based solution. In addition - students explore AWS Cloud best practices and design patterns for architecting optimal IT solutions on AWS, and build a variety of infrastructures in guided, hands-on activities. In the next section of this boot camp - students will build on concepts introduced in Architecting on AWS. Students learn how to build complex solutions that incorporate data services, governance, and security on the AWS platform. Additionally- students learn about specialized AWS services, including AWS Direct Connect and AWS Storage Gateway, that support hybrid architecture along with best practices for building scalable, elastic, secure, and highly available applications on AWS. While attending this camp - students take two exams to achieve the Amazon AWS Solutions Architect Associate and Professional certifications. The Certifications Camps AWS Solutions Architect bootcamp is designed for solutions architects, solution design engineers, and anyone who wants to learn how to design applications and systems on AWS. Build your technical skills and progress along a path to earn AWS Certification with the courses, labs, and exams administered in this camp. CAMPUS - Certification Camps built a state of the art training center with spacious classrooms, no sound transference between rooms, new desk, Herman Miller Aeron chairs & great common areas.CLASSROOM SERVERS - Students work on a dedicated Dell 8700 / 8900 with an Intel i7 (6th generation), 32GB memory with 512GB SSD drives.CAMPUS INTERNET - The campus is connected with a 300Mbs Verizon Fios Business Connection which provides complete internet (including VPN) access for students. COMMON AREA - Unlike any training facility ever - break room with Mame Arcade, high end "kitchen" with snacks, drinks (Starbucks Coffee, 100% juices, sodas, etc) and breathtaking terrace.LODGING - We use the Marriott Fairfield Inn & Suites Lakewood Ranch. This "upgraded" hotel offers extremely comfortable beds, great breakfast and very fast (Verizon) internet access.NEAR BY AMENITIES - Many shops, restaurants and grocery options are available within walking distance. Additionally - the hotel provided scheduled shuttle services. Restaurants like Cheesecake Factory, California Pizza Kitchen, Panera Bread, Bone Fish Grill, Ruby Tuesday's, Five Guys, Chipotle, Quiznos, Chili's and over 20 additional choices in the immediate area. All of these options are offered in a pedestrian walking village.